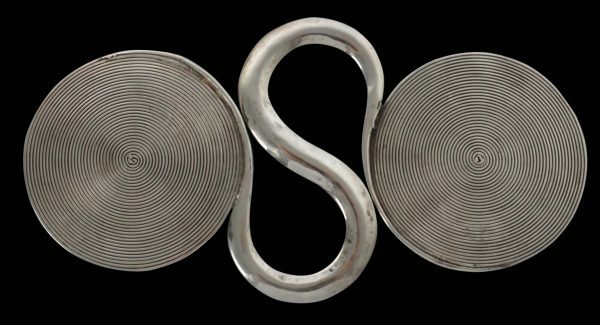 This high-grade silver double spiral counterweight or ribbon tie from the Miao people of southern China, is the finest example of such an item we have seen, published or otherwise. The fine, flattened, tightly wound spirals are remarkable achievements in silversmithing. The strands that make up the coils of other examples we have seen are not nearly as fine as in the example here. Less elaborate examples with less fine coiling are illustrated in Daalder (2009, p. 268) and Hoek (2004, p. 193). The Miao people live in southern China most notably in Guizhou province. But Miao sub-groups such as the Hmong live in northern Thailand and eastern Burma as well. 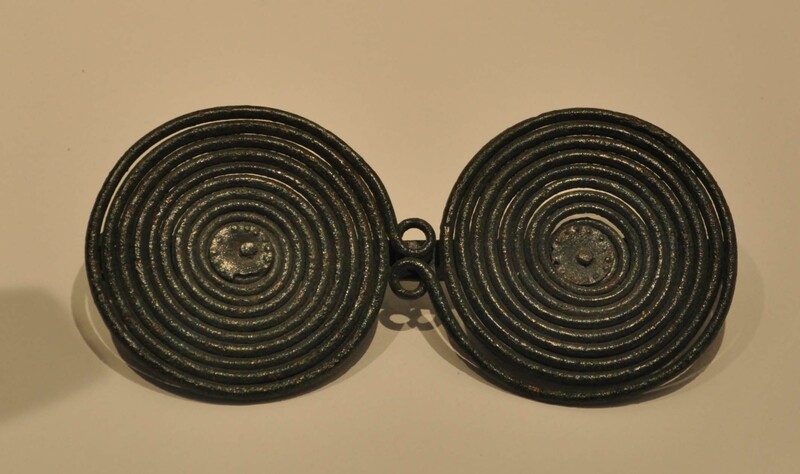 The wearing of silver jewellery among Miao women was very important. It was a sign of femininity and wealth. Families would begin saving to buy silver jewellery from the time a daughter was born, so that she would enter a marriage with a significant collection of silver jewellery which would be her own source of wealth. Thereafter, copious amounts of silver jewellery would be worn at weddings, funerals and springtime celebrations. The example here is in excellent condition. It is large, sculptural and has good wear and patina.